This datasheet will reveal the cost comparison between IBM, NetApp and EMC maintenance and support through the OEM versus a third-party maintenance provider. We will also explain the secrets behind OEM maintenance and how TPM providers are able to offer the same or better support at a fraction of the cost. The problem from a business standpoint is simple: EMC can be an expensive product to purchase, but it’s not any more expensive to maintain after 1-3 years than NetApp or IBM. 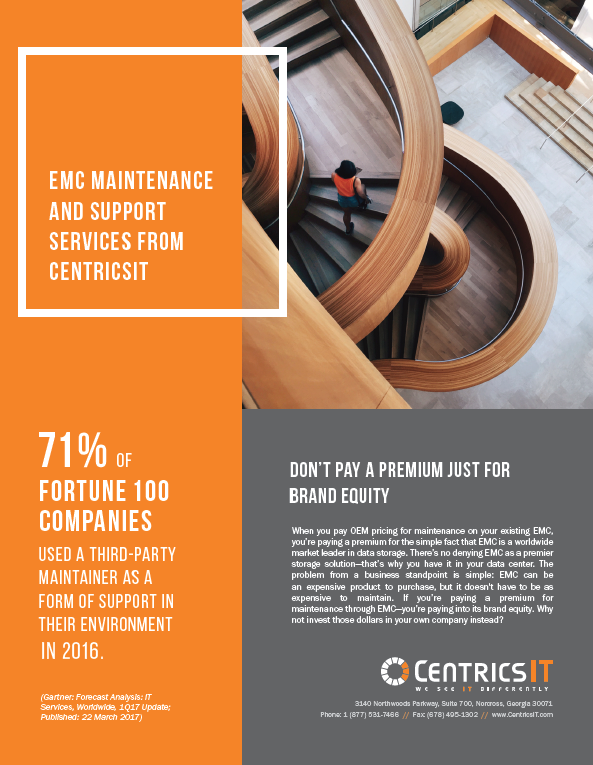 If you’re paying a premium for EMC maintenance and support—you’re paying into EMC’s brand equity. Seventy-one percent of Fortune 100 customers used a third-party maintainer as a form of support in their environment in 2016.
of Fortune 100 customers used a TPM provider in their environment in 2016. Download the datasheet to learn more about EMC maintenance and support and uncover areas of untapped savings in your data center.